Have you noticed that your dog’s nose has been drier than usual lately? A crusty, flaky nose on your dog is not just an eyesore – it can actually be quite sore and uncomfortable for your dog. Dry, cracked skin isn’t just painful. A wet nose is actually required for your dog to smell properly. Since dogs rely heavily on their sense of smell, it’s unfair to take that away from them by failing to treat their dry nose. Let’s talk about what causes dry noses and how to heal your dog’s dry nose naturally. 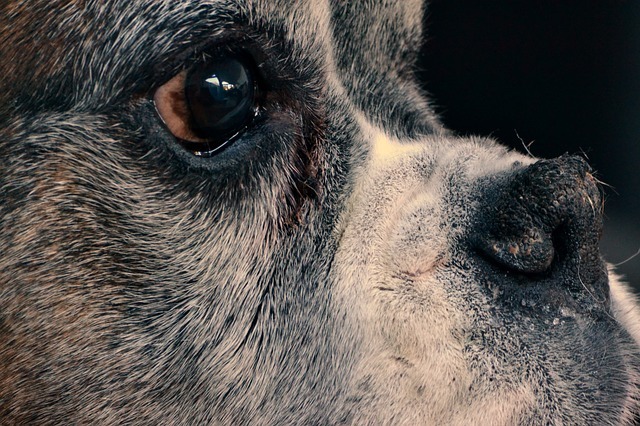 If you aren’t sure what’s causing your dog’s dry nose, you may want to take him to the vet, especially if he has any other symptoms, since a dry nose can be a sign of a serious health problem. Hyperkeratosis is the result of excessive skin growth on your dog’s nose or paw pads due to your dog producing too much keratin, which is the protein that the nose and paw pads are made from. The resulting brittle skin can become cracked and even infected! 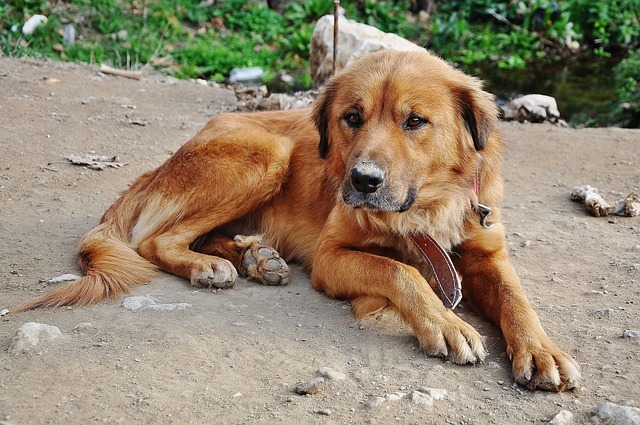 Some dogs are more prone to hyperkeratosis, like Golden Retrievers, Irish and Bedlington Terriers, Labradors, and Dogues de Bordeaux, although any dog can suffer. Older dogs seem more prone than younger dogs. As you can imagine, having an infection on your dog’s nose is a bad situation, so you want to heal your dog’s nose before it gets so dry that it starts to crack and allow infections in. -Olive oil: rubbed well onto your dog’s nose, this common household oil can help soothe and moisturize it, and it’s safe if your dog licks a little bit off. Olive oil penetrates deeply into your dog’s skin for long-lasting moisture. That makes shea butter more than just a moisturizer; it actually helps heal your dog’s snout. Why not combine all these natural ingredients with several more for one fabulous product that helps safely heal your dog’s nose and also helps feed shelter dogs? 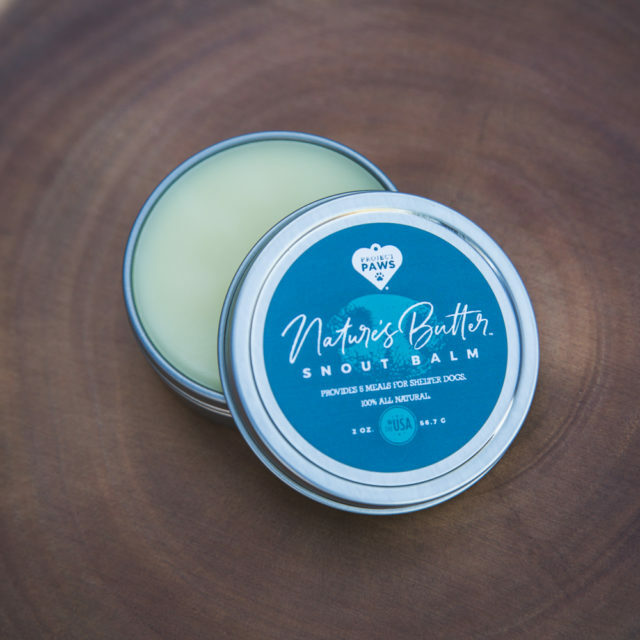 Our Project Paws® Nature’s Butter™ Snout Balm for Dogs is an unscented formula that is packed with soothing oils and butters that seep into your dog’s skin at different levels, locking in healthy moisture for longer periods of time. Every Nature’s Butter™ balm is made in far northern Minnesota on a beautiful and very unique 40-acre farm and each purchase provides 5 healthy meals for dogs in shelters! These statements have not been evaluated by the Food and Drug Administration. This product is not intended to diagnose, treat, cure, or prevent any disease. The information on this website is not intended to replace a one-on-one relationship with a qualified healthcare professional.